We’re committed to taking on some of the world’s most pressing challenges… Rotary International’s programs and service opportunities are designed to help Rotarians meet the needs of their own communities and assist people worldwide. After 25 years of hard work, Rotary and its partners are on the brink of eradicating this tenacious disease. But a strong push is needed now to root it out once and for all. It is a window of opportunity of historic proportions. All of the publications and forms that Rotary International makes available for download may be found here. How we tell Rotary’s story reflects our distinct character and defines how we are different from other organizations. It helps people understand what we do and how they can engage with us. At every point of interaction, it’s up to all of us to protect, promote, and deliver on our promise. 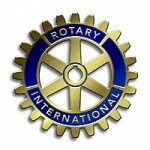 Rotarians may use Rotary International graphics, available for download and reproduction, in a wide range of print publications, on their websites, and in e-newsletters, signage, and other materials.